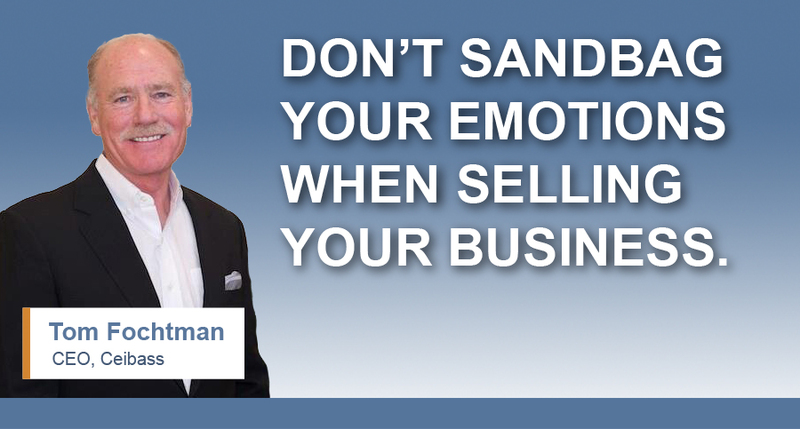 Ceibass Venture Partners – Don’t Forget The Emotional Considerations When Selling Your Business. The enterprise value specialists at Ceibass have facilitated many transactions between buyers and sellers of lawn and landscape companies this year. And one of the most overlooked characteristics of these transactions are the emotional aspects. It’s a process. Begin to think about “what’s next” for you two or three years before your equity event. In fact, sometimes you don’t have control over when the event will occur so start thinking about it right now. How much money do you need to get from the sale of your business to live the lifestyle you want to live? After taxes. Know this number and ground it in reality, not fantasy. And if your business is not up to producing that number, get to work on increasing the value of your enterprise. Think in terms of timelines and phases. And if you don’t know what you want to do next, it’s ok. Start there. Live in that “I don’t know” state and ask yourself and others, how do I go about finding out the answer to that question. Fear of the unknown can be paralyzing. If you do know, wonderful. If not, choose to ask yourself how do I find out? Deal with all the easier rational things such as tax strategies, estate planning, trusts, powers of attorney, financial planning and buy-sell agreements between partners – get them out of the way so you can ask yourself bigger questions like what do I want to do next? Talk, talk, talk and talk to others…your spouse, your partner, others in the industry, your mentor, a senior you respect in the industry. DO NOT THINK ALONE! Celebrate that you have created this situation in your life where you can contemplate your future. Many owners are so caught up in putting out fires and the adrenalin of day to day operations that they miss out on the opportunity. You’ve built up your business to a point where you can contemplate what’s next for you. Congratulations! Not that many owners get their businesses to the point of being in the position to think about these things.